Mohammad Rizwan should be in record books for being captain of so many teams in last 1 month. He is a decent player who is now getting oppurtunities at domestic level which he richly deserves. In Khi Cricket circle he isn't rated higher than Saud and Saad whereas if I compare his talent & skillset than its slightly inferior to Saud, U Amin & Saad. In terms of performances some hardworkers outshine more talented and skilled players so best wishes and prayers for Danish Aziz. When on song Sohaib Maqsood is a destructive player. 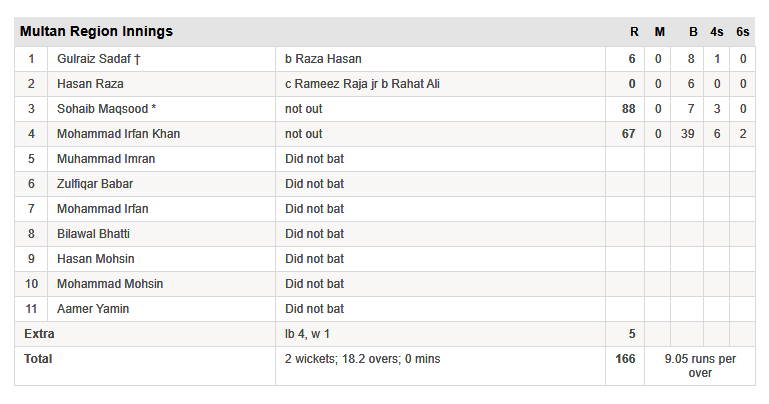 Nabi Gul starts batting around 1:55:00 onwards. All times are GMT 5.5. The time now is 14:36.